This week Bradley Taylor & I have re-launched our catering business Taylor & Nice with a new Private Chef Hire offering. We’ve been booked to do some quite exciting events over the next few weeks, so we’ve been busy buying new chef jackets, plates and cutlery in preparation. I think I could lose whole days in cookware shops. I am completely obsessed with seeing pans in every possibly size – ranging right from dolls house scale to a saucepan I could probably install a kitchen and a couple of bedrooms in. Rant over, it’s back to the kitchen to get perfecting some of our recipes ready for our upcoming events. 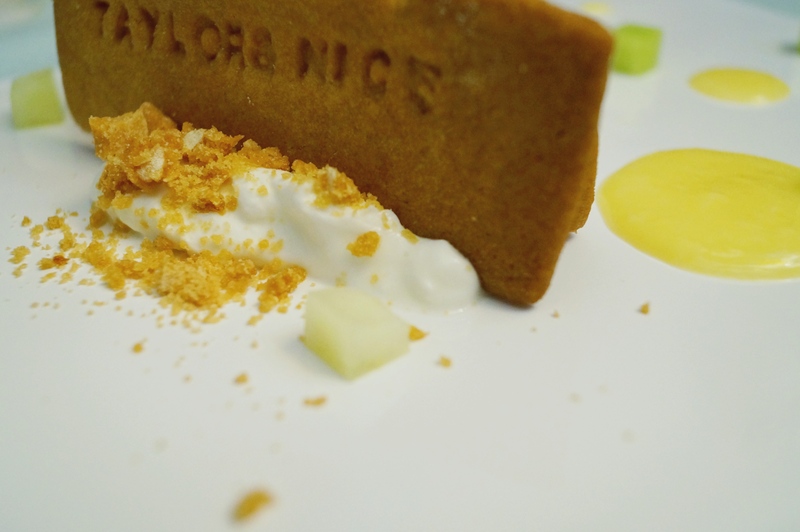 This week I have been putting the finishing touches on a recipe for a melon & ginger biscuit dessert. 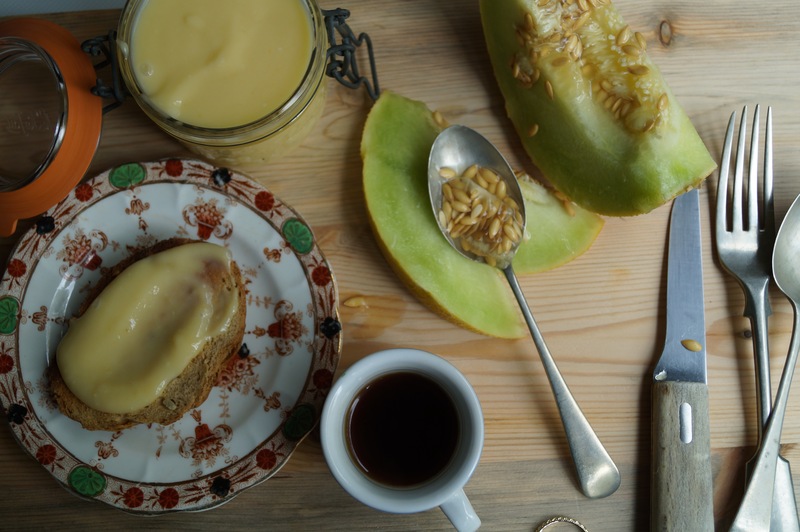 We’re serving this homemade melon curd with lemon posset, ginger biscuits, and fresh melon pieces but I’m sure it would be lovely on toast, stirred through yoghurt or in a tart. 3) Whisk in the eggs and keep stirring or gently whisking for around 15-20mins until the mixture thickens. 4) Take the mixture off the heat and allow to cool, don’t forget to remove any remaining melon pieces and discard them (or eat them, they taste a bit like stewed apple and custard) then put the curd in the fridge to chill and thicken up a bit more ready for spreading, or drizzling.